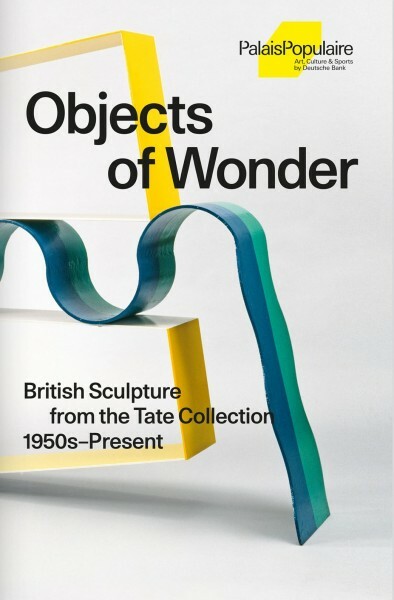 Comprising around seventy masterpieces from Tates collection, Objects of Wonder shows how British artists have revolutionized contemporary sculpture since the middle of the twentieth century. The spectrum ranges from icons of postwar modernism like Henry Moore and Barbara Hepworth, to stars of the Young British Artists generation, including Damien Hirst and Tracey Emin, who is represented with a provocative neon sculpture. The show, conceived exclusively for the PalaisPopulaire, examines important modern and contemporary art movements. A leitmotif that runs through the exhibition is the transformation of everyday objects. Through distortion, recombination, and dramatic staging they become Objects of Wonder that tell stories and put things that were forgotten or only fleetingly perceived in a completely new light. DETAIL: Caroline Collier, Elena Crippa, Daniel Slater, Clarrie Wallis and Beth Williamson Broschure, English / German, 68 illustrations, 156 pages.